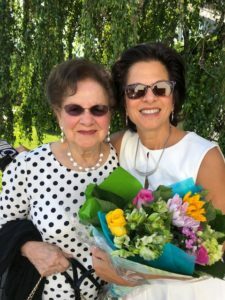 The Marketing Collaborative | Why my mother and many CEO’s are confused about healthcare marketing. Why my mother and many CEO’s are confused about healthcare marketing. The Chief Marketing Officer role has changed dramatically over the last decade and it’s unclear what falls under his/her purview. Therefore, the tendency is to think that just about everything does. This is a very complex issue and worthy of another blog, but suffice it to say that from my perspective, much of this falls under the CMO’s responsibility. From digital marketing to websites to art direction to branding…and the list goes on. As a contract CMO, the questions I’m often asked are: Do you write? Yes, but not like a copywriter. Do you design? No, definitely not! Do you create websites? I’m part of the team. Simply put, I am a strategist — I create respected brands for healthcare organizations. I help them develop strategies to get results and supervise the creative process so that everything produced on their behalf is consistent with their brand. However, as the quote in the sidebar suggests, that supervision piece broadens with new technologies and as the consumer voice gets louder. Healthcare, as a vertical, is really in its infancy in terms of marketing. Remember when lawyers began advertising and the quality of advertising was so bad? How could anyone forget? Not that healthcare is that bad but it certainly is in its infancy. Many small to mid-size markets and healthcare organizations are just beginning to look at their brands and the messages they are communicating. With competition and marketing increasing, healthcare needs to look at itself and marketing as a means of reaching its business goals. Are you having trouble recruiting talented staff or keeping them? Are your occupancy rates lower than you like? Are you attaining your patient volume goals? Are there misperceptions about what services you provide? And worst of all, does the community see you as something you’re not? C-levels often have multiple degrees but rarely have in-depth education (or experience) in marketing (at least that’s what they tell me!). Healthcare marketing is my area of expertise and I spend time educating all that need to know about the topic. Given the newness of marketing to healthcare, this is understandable. If your organization doesn’t have a marketing department or CMO, it’s time to consider adding to your staff. Creating clear concise messaging so that people can make informed decisions on healthcare should be part of the conversation in the C-Suite and marketing needs to be there. 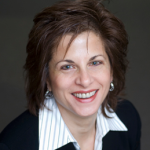 Cathy Rubino Hines, president of the Marketing Collaborative, is a contract CMO and healthcare marketing specialist. She’s worked with healthcare organizations such as hospitals, senior living facilities, large physician practices, and companies that are marketing to healthcare.